Chumba Casino differs in many ways from a standard online casino operator. They function as a real casino but also run a social platform where players can create an account simply by logging in with their Facebook details. The choice of casino games at Chumba isn’t very big and players can choose to play with Gold Coins and Sweep Stakes. The Sweep Stakes are basically real money which you can use to place bets on the games and later withdraw. The main reason why chumba casino is still into business is simply because they operate within the legal outskirts allowing players from Canada and the US to freely play for real money. They do have an operating license coming from the MGA but this won’t do US players much good, since legally they are not allowed to play at online casinos regulated in Malta. 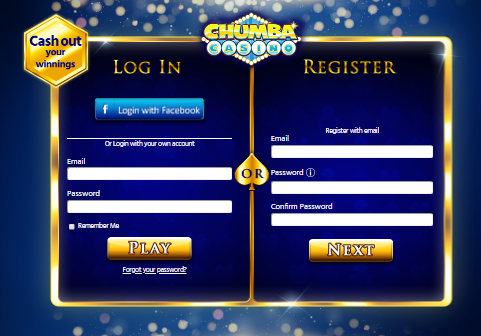 There are a few details which make Chumba casino a not so desire able online operator. First off the minimum withdrawal limit at the casino is set at $100. This is considerably more than at any other operator in the industry. Also the pending period for all withdrawals at the casino is set at 5 business days. Again this is considerably higher than in most reputable online casinos. After the pending period is over it will take a few more days before your winnings are processed to your preferred payment method. The chances are that during this time you will reverse your winnings and play them down to 0. 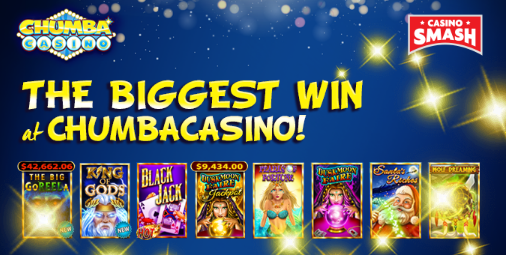 When it comes to casino games the choice at Chumba casino is also limited. There are about 25 video slots altogethers and you won’t find any reputable names among their slots. This is a very poor offer compared to the thousands of slots which you can play at any other reputable operator in the industry. The only good thing about the casino is that you regularly get Gold Coins which you can use to play the games for free and see what each one has to offer. But this is equal to playing for fun at any other online casino and you can’t cash out any winnings made from Gold Coins. If you want to play at a real online casino we can recommend giving Unique casino a try. They are a reputable brand which offers a variety of casino games powered by leading software providers like NetEnt, Microgaming, Play’n GO, Betsoft Gaming, Pragmatic Play, Playson, Gamomat, Wazdan, Bally Wulf, Booongo and a few more. All new players can take advantage of their 100% match deposit bonus and you will also get 20 free spins on top. All withdrawals at the casino have a 48 hours pending period and are processed to e-wallet accounts within 24 hours after the pending period is over. Unique casino is a reputable operator which has a big number of daily players and you can be sure that your winnings will be paid on time. Play at a real casino with real money and walk away with big winnings on your account.